Here we have a beautiful vintage original early 1970s Nomad Airguide Auto Compass model 79C (black) in superb used condition! The compass comes with the instructions leaflet. 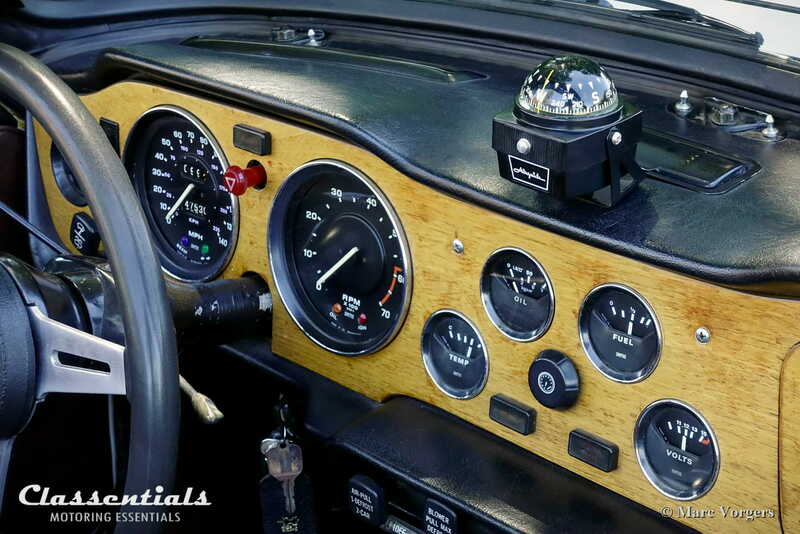 The high quality 1960s / 1970s US manufactured (Chicago) Airguide auto compasses are the best you can buy for your classic car, these compasses also WORK in closed rally cars with metal roof-tops! From the early 1960s the compasses were finished in silver / grey, in the early 1970s also black versions became available. The compass can be magnetically adjusted with adjusting screws in the bottom. The compass measures L x W x H: 7 x 6 x 8.5 centimetres and it weighs 130 grammes. This 79C model features a metal mounting bracket for fitment to the dash-top of your car. The compass can be mounted with the self adhesive pad or it can be bolted down with two screws. We advise to fit it using the adhesive pad. At Classentials we have cleaned and tested this over 40 years old compass and we have added a new black adhesive pad. A superb specimen in top condition! These compasses have a push-button, battery operated lamp inside. Regretfully the old lead-jacket AAA-size batteries are no longer available. We sell the compass including a 12 Volt amber coloured LED lamp for those handy customers who want the compass to be lighted at night!